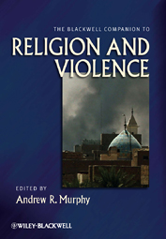 The timely Blackwell Companion to Religion and Violence brings together an international, interdisciplinary group of scholars who provide a coherent state of the art overview of the complex relationships between religion and violence. This companion tackles one of the most important topics in the field of Religion in the twenty-first century, pulling together a unique collection of cutting-edge work. A focused collection of high-quality scholarship provides readers with a state-of-the-art account of the latest work in this field. The contributors are broad-ranging, international, and interdisciplinary, and include historians, political scientists, religious studies scholars, sociologists, anthropologists, theologians, scholars of women's and gender studies and communication.